Each situation requires a balancing derived from judgment and arising from experience, skills acquired by learning from the past and training for the future. Theory reduces history's complexity to teachable moments.... Instead theory functions, with respect to the past, as Clausewitz's coups de'oeil do in the present: it extracts lessons from infinity variety. It sketches, informed by what you need to know, without trying to tell you too much. For in classrooms as on battlefields, you don't have unlimited time to listen. Theory, then, serves practice. 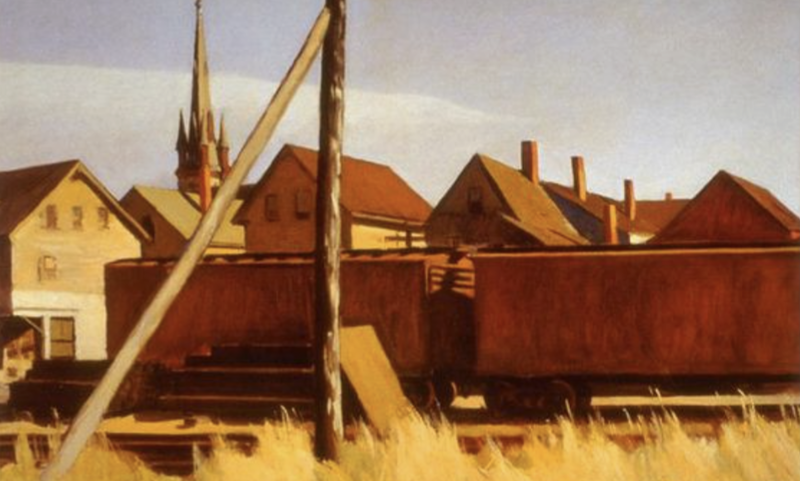 And when practice corrects theory - when it removes theorists' horse blinders - it returns the favor, preventing stumbles off cliffs, into swamps, and toward Moscow. 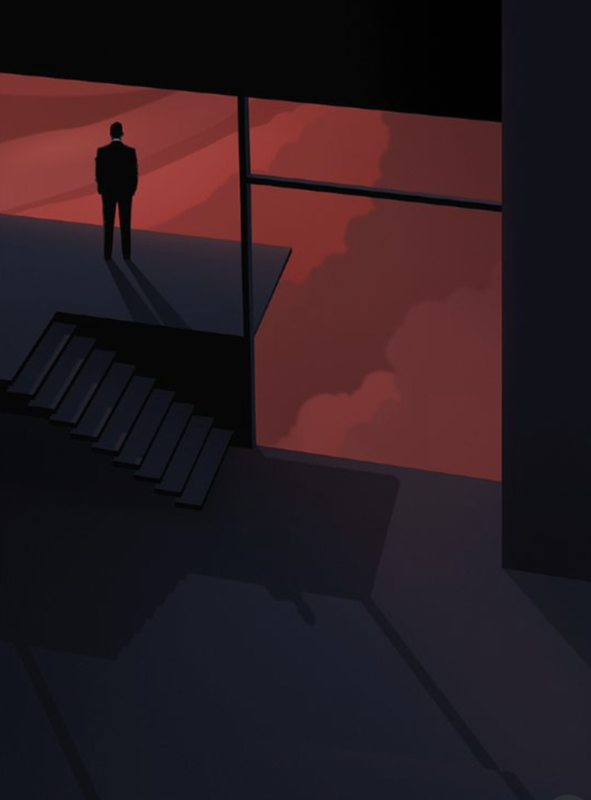 The combination of judgment and experience tied to disciplined systematic thinking in an uncertain world has been a recurring theme in this blog. Systematic and disciplined behavior through models improves the odds for success in a volatile, uncertain, complex, and ambitious (VUCA) environment. Our judgment is gained through theory that does not stand-alone but provides direction for our practice and our discipline. 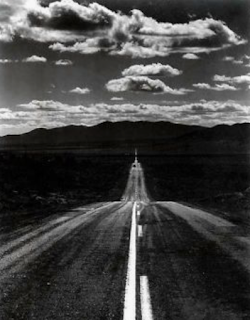 Judgment and experience allows strategy to move beyond abstraction. Strategy is directed by experience and filtered by theory. 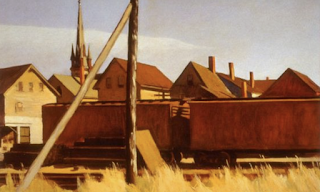 For the quantitative-focused manager, theory is needed to form beliefs, but data is needed to set the level of significance and direction in practice. This practice is best served through planning and disciplined. Systematic behavior is not immutable, but can change with new facts. It can change with new situations, but theory, guided by our lessons form the past, serves as a foundation for action. Gaddis writes about similar issues throughout history in his sweeping book on strategy. Understanding the ends and the limits of our means is critical for success. Failure arises when ends and means are not coordinated and the limitation of means leads to overreach for the ends. Investor success will be predicated on their ability to exploit technical and practical knowledge, a variation on the theory of rationalism developed by the philosopher, Michael Oakeshott. 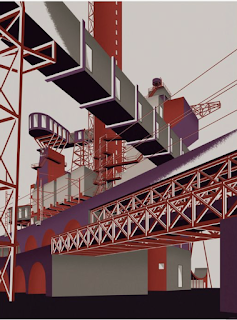 (See "Technical and practical knowledge - You need both for asset management".) For Gaddis, the combination is judgment and experience which has been shown to be missing in failure and balanced in success. Disciplined investing is a strategy not developed in a vacuum but based on an understanding of market behavior, decision limitations, and manager experience. 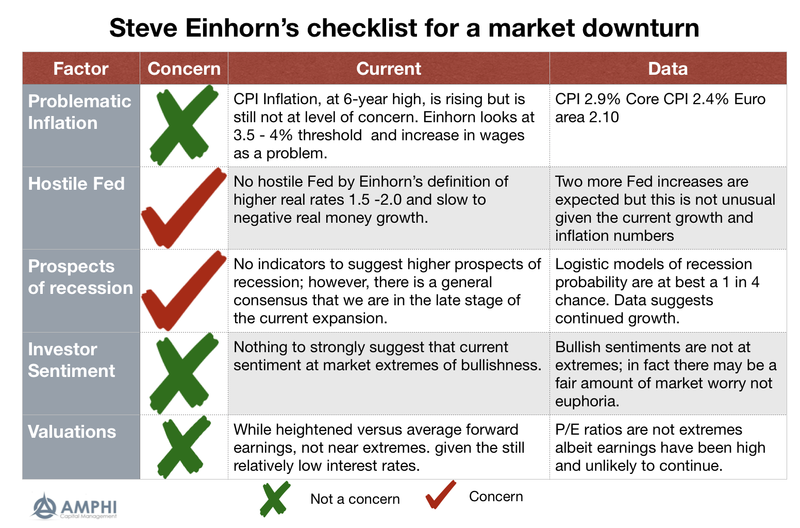 The Financial Times suggested that there is a "Dollar Doom Loop" facing the Fed. 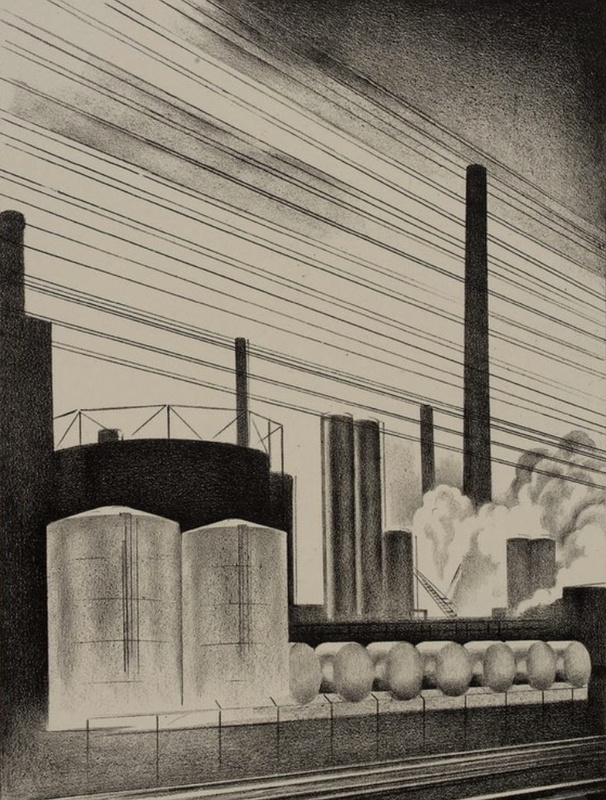 Perhaps a little dramatic with the "doom loop" analogy, but not as bad as "death spirals" or "Wile E. Coyote moments", this story sets the tone for what may be one of the biggest problems not being looked at by most investors. Risk is really volatility or price moves times the exposure to the price change. As the dollar denominated global debt exposure increases, there will be more global risk for any change in rates. As a reserve currency and as the currency of choice for much of the credit growth since the Financial Crisis, the dollar and its price for borrowing is critical to financial markets. The price of dollar credit is not like the price of credit in home currencies. 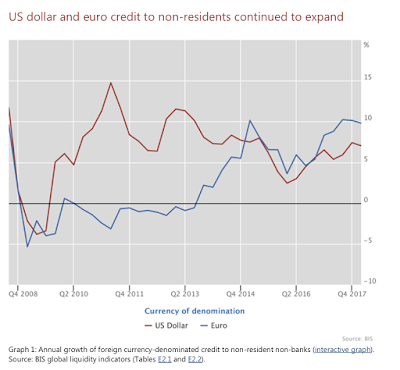 Debt in a home currency will not have any foreign exchange risk, but dollar debt issued by foreigners will be negatively affected through two channels by Fed QT actions. Raising rates will affect the price paid for refinancing, and a rising dollar affects the price at which the liabilities must be paid. The doom loop occurs when US rates rise and the dollar appreciates on capital inflows that are attracted by the higher rates. Now you have the cost of credit increasing and the principal has to be paid with more expensive dollars. Of course, if the dollar financing is associated with trade or payments in dollars there is a smaller problem, but micro loan data does not suggest this to be the case. These dollar liabilities will have to be paid with more expensive dollars. Dollar credit has been growing at a rate faster than global growth. Euro credit has been growing at a faster rate but from a lower base and a lower price. The current size of the dollar debt is mammoth, and barely reversed in 2008. 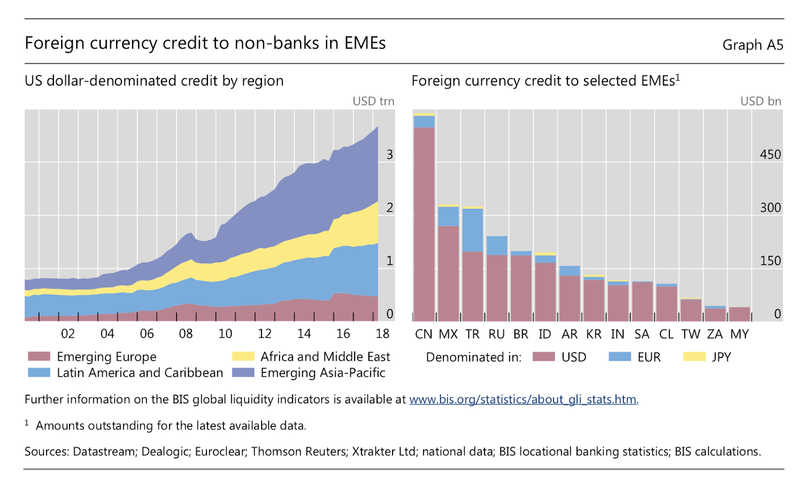 The size of dollar credit outstanding for the world and EME has almost doubled since the Financial Crisis. This does not look like a world that is afraid of credit. Of course, assets and wealth have also been increasing but any asset reversal will create a balance sheet problem. 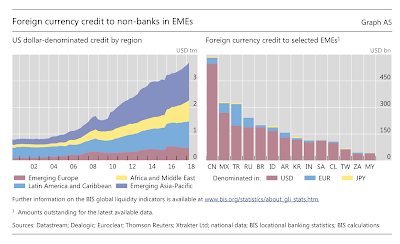 The dollar denominated credit to non-banks in EME has skyrocketed across most regions except emerging Europe. Most of the credit is in China which is especially problematic. With the dollar increasing and US rates increasing, it should not be surprising that EM equities have declined. The combination of trade wars, which will slow EM growth, with large dollar exposure makes for a toxic financial mix that is not found in developed countries. 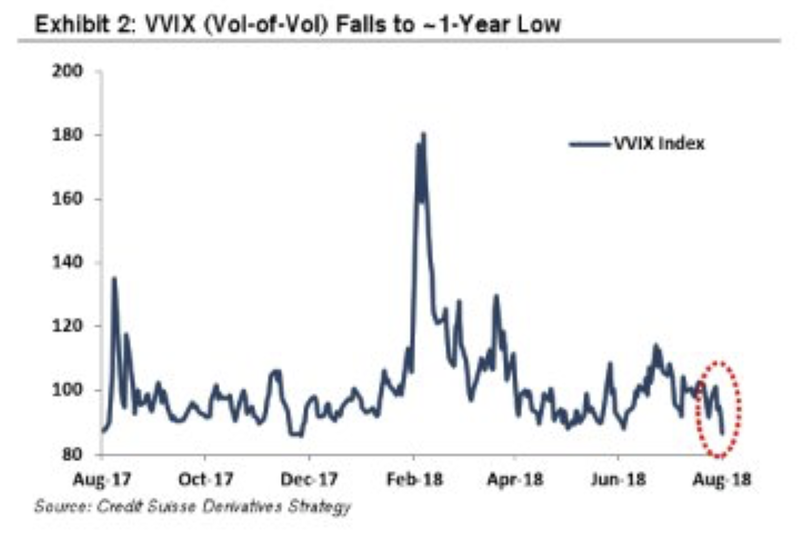 We don't want to be doomsayers, nor do we want to scale the wall of worry, but if risk need to focus on size of exposure as well as volatility then greater attention to credit risk is prudent. Most top-down and global macro managers follow all of the macro data announced each day. They will compare data across time and countries to understand relative economic performance, but when they go back to basics to understand how data are constructed, they will usually get a very uneasy feeling. How much noise is in this data? 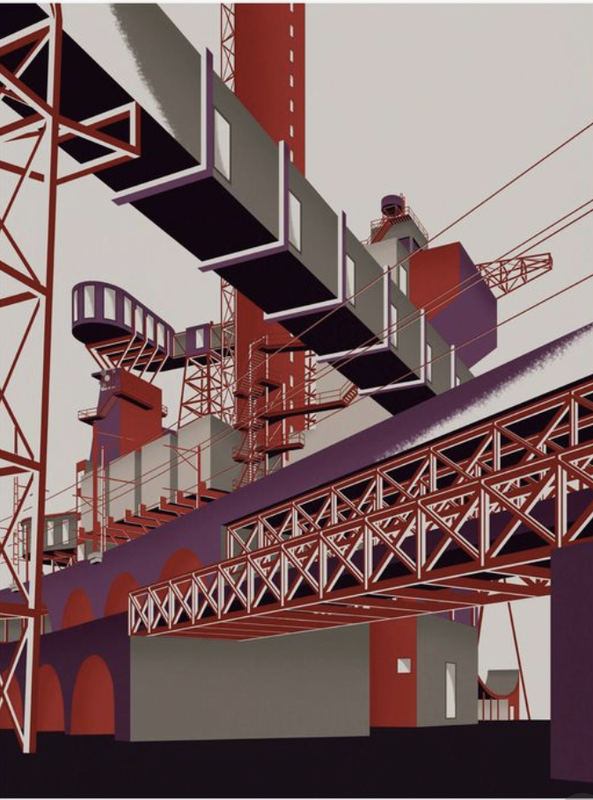 The construction of economic data is an ugly process. If you don't believe me, read any report on how data is collected. 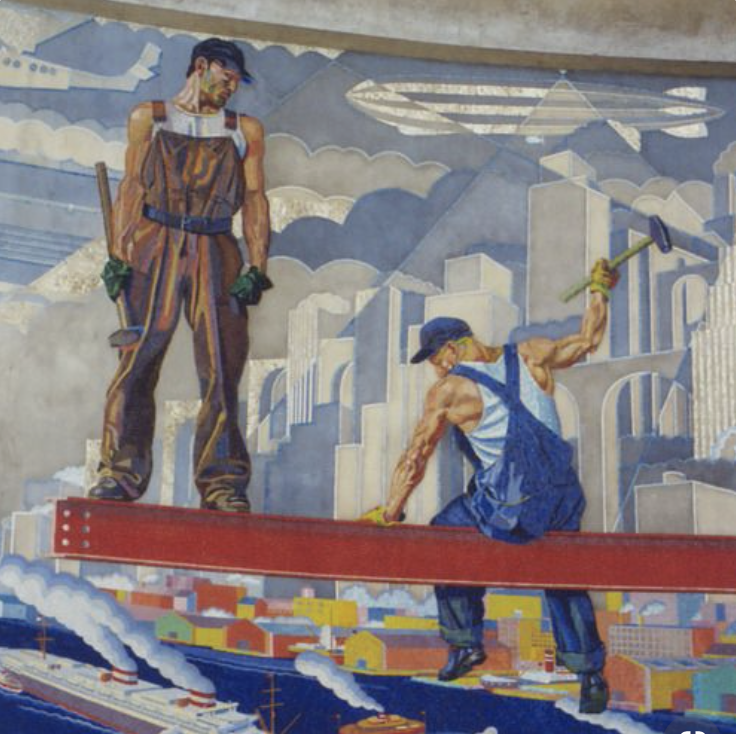 See Diane Coyle's GDP as a short read, or a recent podcast. This problem becomes especially acute when economists are trying to measure potential GDP and GDP gaps. For that matter, it can be a problem for any cross-country comparisons. There are delays with data. There are errors with the collection of data. There are data revisions. 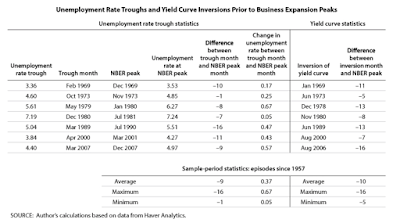 There are simplifications and seasonal adjustments of data. With surveys, there are limited sample sizes. Yet, traders will often react to any small surprise in the numbers. Traders will react to the actual number. They will react to the surprise as measured by difference between actual and expected. They will react to revisions. It is a tough game to play because data from one series today may be contradicted with data tomorrow from a different series. There is an alternative to trying to use noisy fundamental signals. Use price data as the primal or core driver for decision-making. 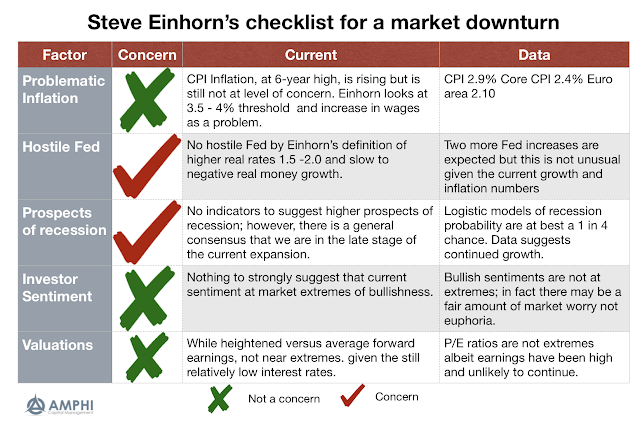 Prices provide core signals of market views and expectations and are updated in real time. The use of price data versus fundamental is a trade-off with signal to noise. In the case of macro data, there is a signal surrounded by the construction noise. This macro data noise can be smoothed through times series techniques or multi-signal aggregation. 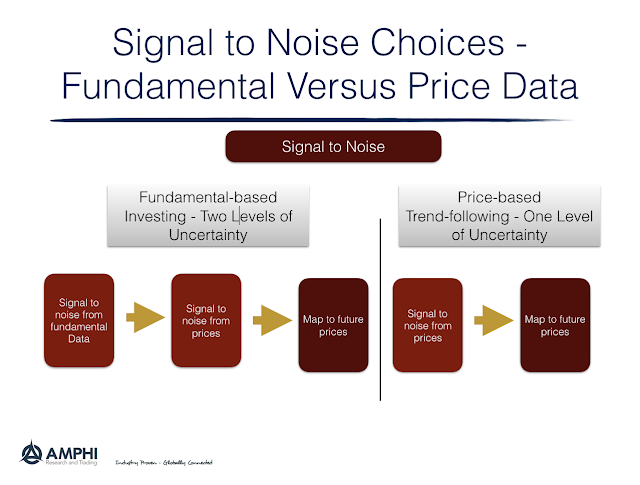 In the case of prices, there is a signal surrounded by the noise of non-information driven trading. The price noise can be smoothed through time series techniques. However, there is a key difference. Any signal to noise analysis with macro data is a two-step process. There is the smoothing of signal to noise with the macro data and then there is the signal to noise link between the macro data and prices. In the case of price trend data, there is only a one-step process of linking past price trends with future prices. There is a deeper hurdle to be overcome with macro data. It may be worth it, but it should always be compared against the simpler process of extracting signals from prices. Neither may be perfect but prices and their relationship across markets can be viewed as primal. 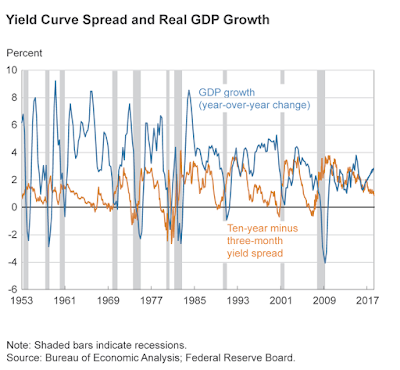 There has been a growing focus on the yield curve and the threat of recession. If you don't believe me, look at the number of web searches. The interest is high, but all that you need to know can be placed on a 3x5 card. 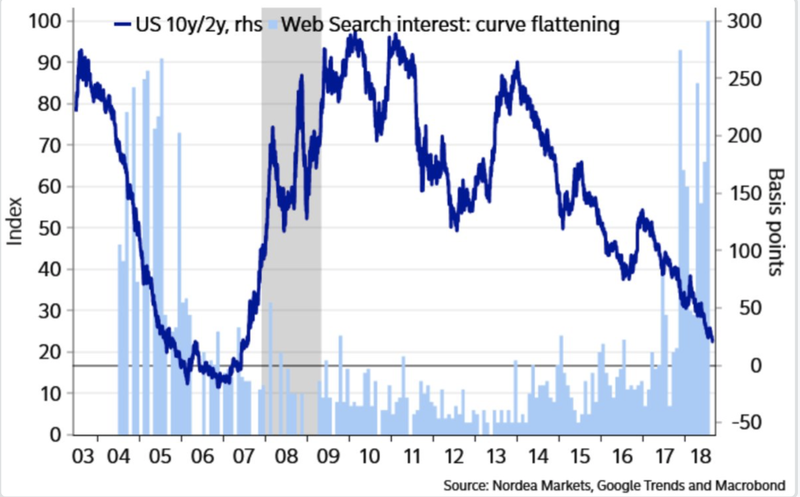 Investor interest in the shape of the yield curve should be high, but that does not mean a recession is around the corner. 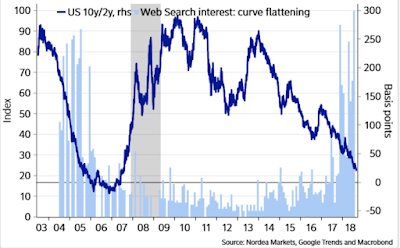 There are a number of measure to look at the yield curve signal, so it is important not to be focused on any single curve number; nevertheless, recent work from the Fed suggests that short-term signals may be better than long-term signals. 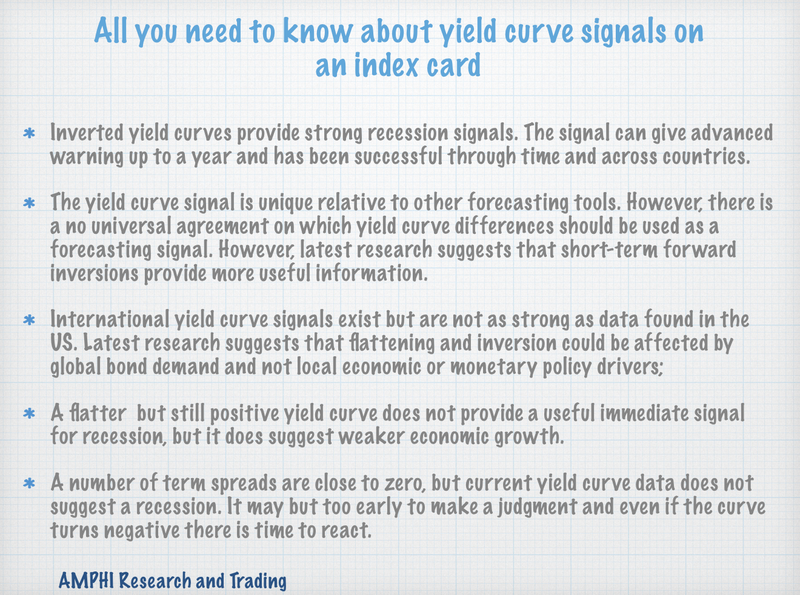 See Fed Notes, (Don't Fear) The Yield Curve which may be the most current thinking at the Fed. 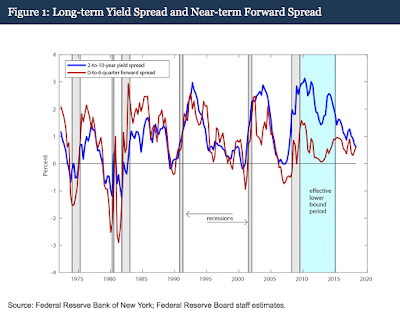 Eric Engstrom and Steven Sharpe find that a short-term forward spread signal does better than a long-term measure like the 2-10-year Treasury spread. The short-term forward spread has better explanatory power. 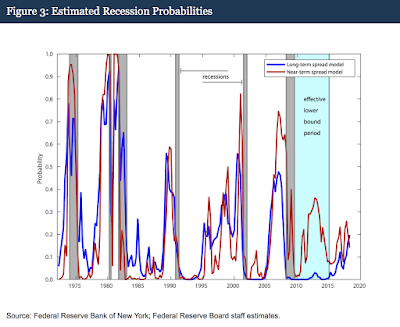 Investors should not forget other measures like unemployment rate troughs which can also be a good measure as a recession signal. 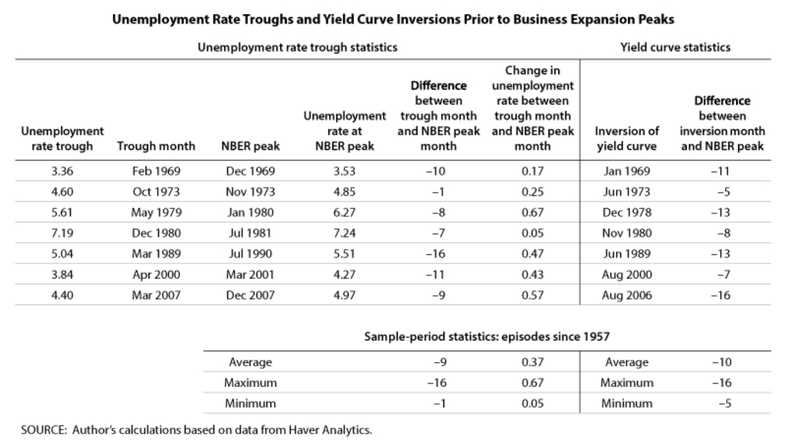 Inverted yield curves add unique insight but forecasting may be improved by looking at a more holistic picture as presented in a recent St Louis Fed Research Economic Synopses: Recession Signals: The Yield Curves vs. Unemployment Rate Troughs. 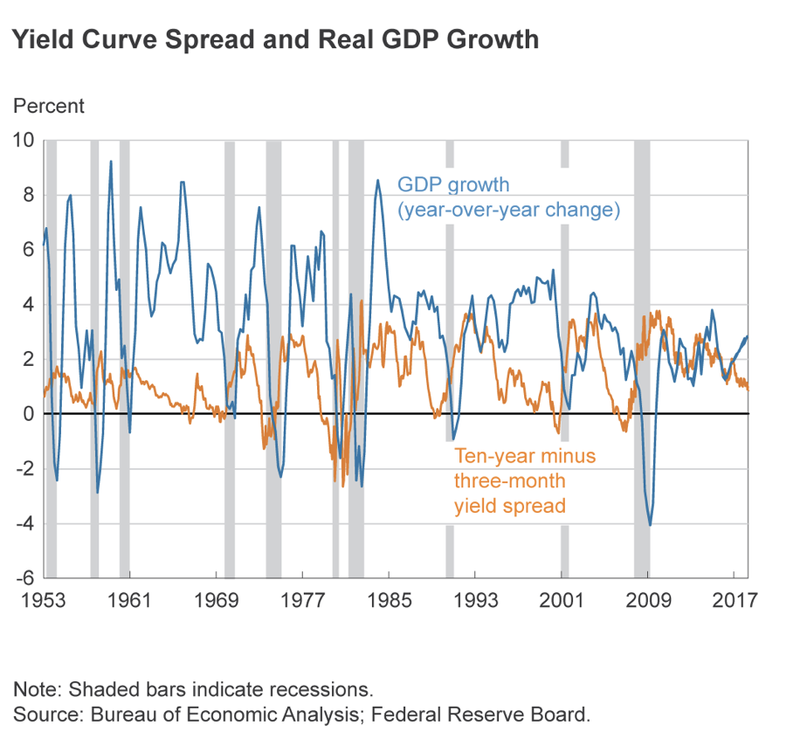 What we do know is that even if the yield curve just stays flatter and does not turn negative there will be an expected slowdown in economic growth per data from the Cleveland Fed. 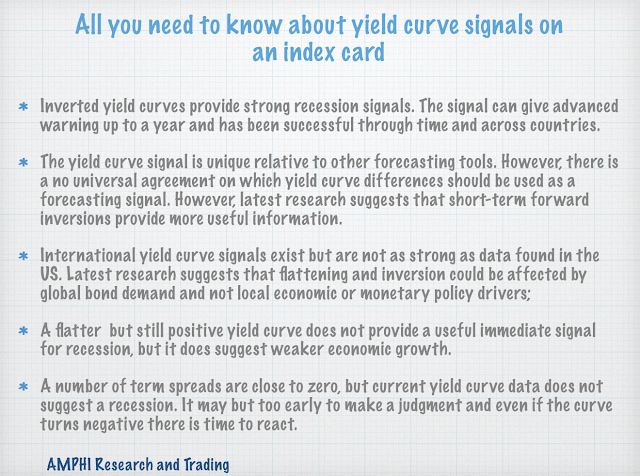 An important question is for what purpose the inverted yield curve forecast is being used. 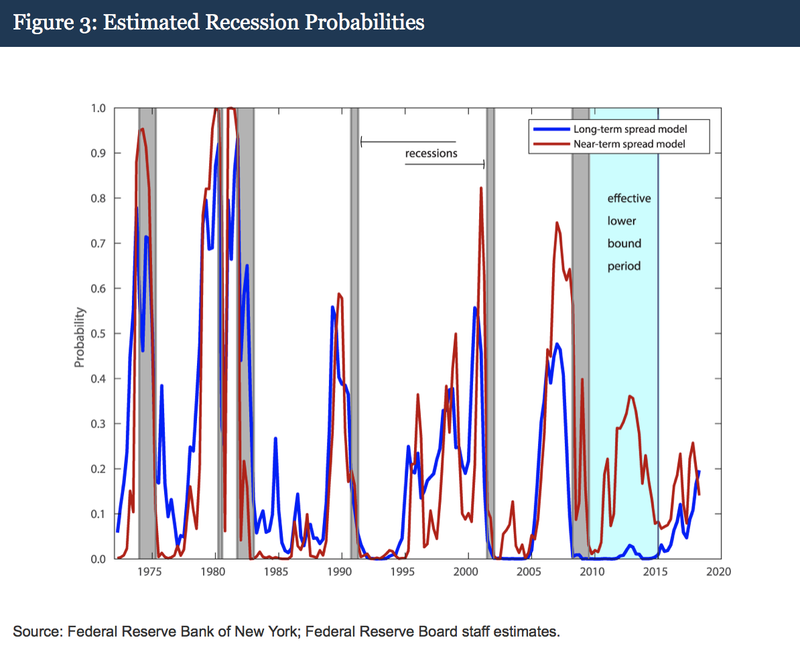 Forecasting a recession is useful but a more important purpose is finding the expected behavior of financial assets. 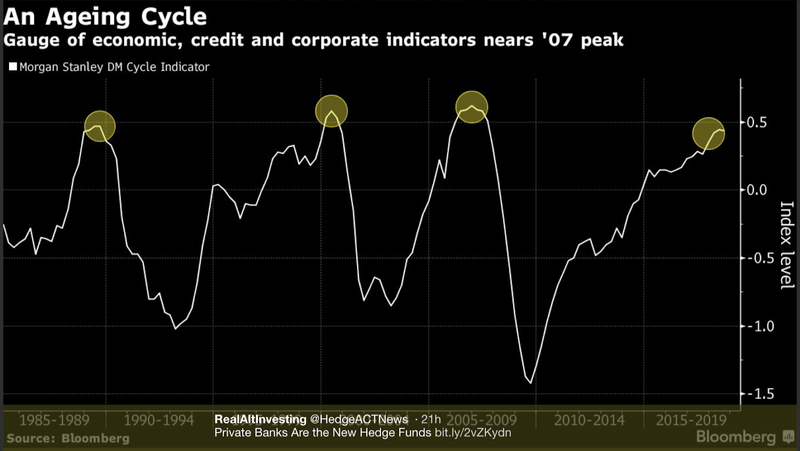 The trough in the business cycle often is a time for buying not selling financial assets. 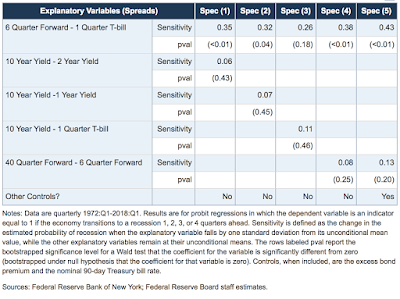 What is not as clear as the recession forecasts is the link between the yield curve and the return performance of different types financial assets. This is perhaps the more important question, yet the flattening has not generated equity declines in the US and may have only impacted risky emerging markets. I ran into a good friend who is a hedge fund analyst in the lobby of my building. "Cannot talk, have to run to call some managers and get their updates. Let's do lunch next week. See you." Coming from a quant background, I am always interested how other analysts question managers. I get nervous that I am going to fall in love with the manager's narrative if he is a good talker, that I am not going to ask the right question to extract their secret value, or that I am going to be turned-off by the poor speaker without truly hearing his message. I read a recent Harvard Business Review article, "The Surprising Power of Questions" by Alison Wood Brooks and Leslie K. John, which may help with improving the quality of questions and conversation or at least provide context on some research in this area. This article only scratches the surface on this topic but provides some important tips for further discussion. Many may seem obvious, yet they serve as good reminders of what works. 1. Be a good listener - Ask more questions to hear what any manager has to say. However, being a listener does not mean being passive or allowing for a simple monologue. Directed conversation is different than just allowing the managers to drone on with their pitch. A good listener has a goal for the conversation. 2. The follow-up question is critical - A good listener will be able to ask good follow-up questions and these questions are when important information is obtained. 3. Realize there are types of questions - Conversations usually start with introduction questions, and then move to mirror questions that exchange similar information. There are transition questions that change the direction of the conversation and then there are follow-ups which dig deeper into a specific topic. Each plays a useful roll in a conversation. 4. Use both open-ended and closed-ended questions - Moving between open-ended and close-end conversation is important. You may start with a simple question like "How was performance this month?" and then move to something specific, "I noticed that you are an outlier versus your peer group and there was a large dollar move which you did not think would continue based on our last conversation." Closed-end question will lead to closed answers. 5. Tone matters - Information will flow differently based on whether you have a casual or official tone. For example, negative information may not come if the tone sounds too official, yet being official may impart the seriousness of the conversation. 6. Sequencing matters - Moving from open opened to closed questions will affect dynamics. Similarly, starting out with negative tough questions can have a big impact on responses. There may be a reason to be positive with questioning. 7. Group dynamics - What is spoken in a group may be different than what will be shared in a private conversation. The marketer who is with a partner may not be as candid with his answers when he is having a private conversation. 8. Shared versus private information - Realize that managers may want to keep information private and not share everything with you. Your job is to make sure that managers feel comfortable enough to share what they may not want to have the general public know. Investment mistakes are often viewed as private information. Conversation with managers should be planned to extract the maximum information. Expect that the agenda of the manager will not match your desire for information. Hence, the choice of questions and how they are presented affects the answers received.This list is at a very high level and does not offer solutions to all the dynamics between manager and analyst, but it may provide a start for further thinking in this topic. "Charlie Chaplin once entered a Charlie Chaplin look-alike contest in Monte Carlo and came in third; that's a story." - Movie line from "Lucky Number Slevin"
This myth has been out in the public since the before the 1920's. 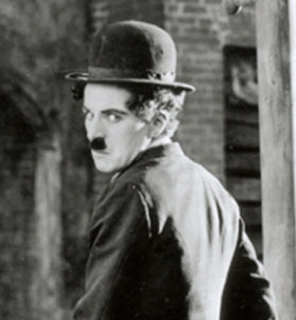 It has never been verified or reported as being true in any Chaplin biography, yet it continues to hold the attention of many when it is heard. It provides a cautionary warning about how we perceive in competitive group dynamics. Call this a variation of the Keynes beauty pageant story. In the Chaplin story, the objective is not to find a crowd's ideal of beauty but find the right Chaplin in a crowded field of Chaplin. (This story should have been known by many around the world including Keynes in the 1920's.) We pick who we think Charlie Chaplin should be based on our perception, but more importantly, our perception of what others think Chaplin should look like, the common knowledge of Chaplin. Our guess is a combination of our private knowledge and the common knowledge of being the ideal Charlie Chaplin. There could have been many trying to compete to be Charlie Chaplin. These close approximations may all seem plausible but still generate noise and uncertainty with reality. We are often fooled by what we want to believe or a close approximation of what is true and not reality. Small differences in perception may lead our judging astray, yet in the end there is supposed to be only one right answer. It should not be presumed that following the consensus will be right. The consensus often follows what is the group ideal not reality. Interestingly, choosing the right Charlie Chaplin may not win the contest. There is significant work on following crowds and using their averages to develop better forecasts as well as game theory work on higher levels of thinking. When information is limited, crowd following may be effective, but when there is a contest, the crowd can be biased and there is no substitute for deep learning and observation. 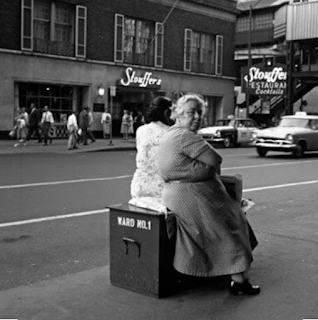 Beware of crowd thinking or at least understand what is being asked of the crowd. Appreciate that uncertainty is everywhere in our decisions. Plausible choices may still be wrong. Hedge your bets. Charlie Chaplin may not be viewed as Charlie Chaplin. There is a correlation between commodity investing and inflation. Commodities do well late in the business cycle when bonds usually underperform and inflation is heightened. 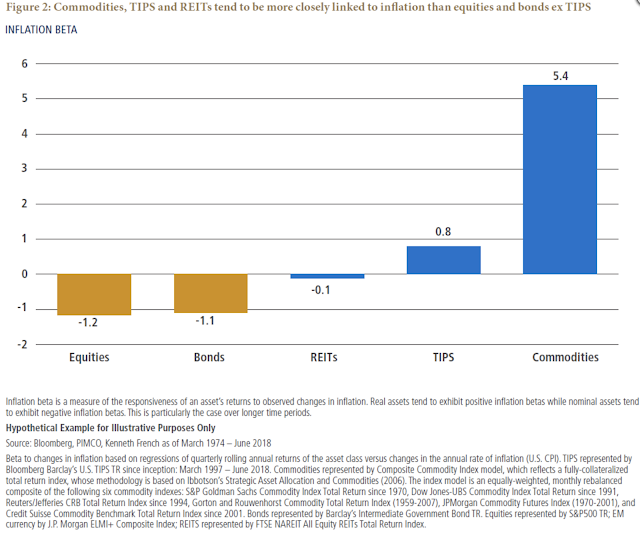 Research work by PIMCO measures the inflation beta for some major asset classes. Stocks have a negative inflation beta even though earning should rise with inflation. 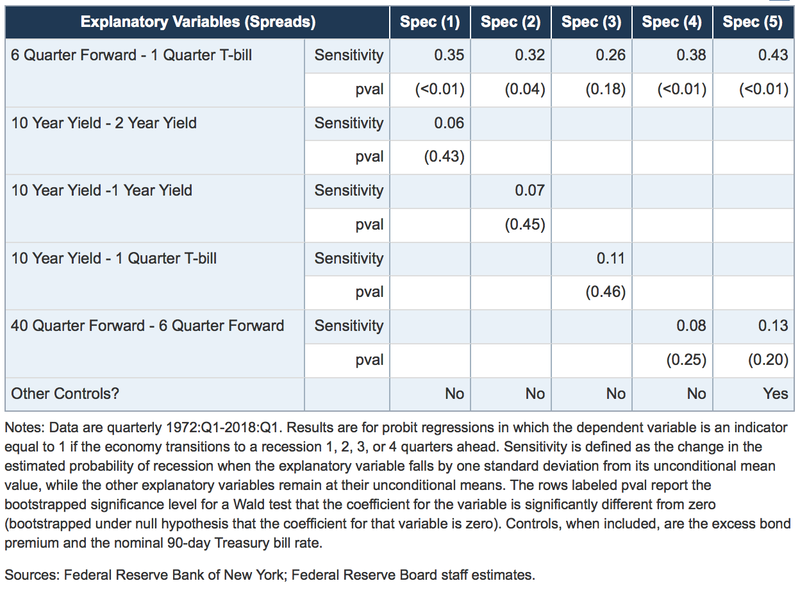 Bonds as a nominal asset show a strong negative beta. Real estate which should be a real asset is neutral to inflation. TIPS have a beta that is close to one which is consistent with the underlying construction of the security. Commodities have a very large inflation beta that can be used to take advantage of inflation concerns Still, this high inflation beta may be a concern for some investors. Thinking holistically, a large inflation beta means that a smaller allocation change may be necessary in order to offset inflation risk in other parts of the portfolio and generate the right global outcome. However, this means that any sector bet tied to commodity beta indices is highly exposed to inflation risk. If the higher inflation never materializes, investors may be overexposed to this inflation beta and see strong commodity underperformance. This is a classic problem of thinking about risk at the portfolio versus asset class level. Portfolio risk should be the focus, but investors are not immune to scrutiny at the sector level. The inflation beta can be adjusted through changing the exposure to commodities, or it can be restructured or blended through exposure to alternative risk premia that look to commodities for strategy but not directional commodity risk. Alternative risk premia in carry, value, momentum, or volatility can allow investors to take advantage of the changing dynamics in commodities without pure directional and inflation beta risk. For example, a combination of beta risk and risk premium exposures can smooth returns while still allowing for controlled inflation exposure. A potential increase in inflation is a good time to rethink the factor risk exposures in a portfolio. First, what is the current inflation beta for the portfolio? Second, what is the desired inflation portfolio beta? Third, how is that inflation beta going to be achieved? While inflation is at or above the 2% target in the US, it is still not too late to think about the right inflation beta for a portfolio. The single largest diversification play for investors over the last two decades has been the strong negative correlation between stock and bonds. There are portfolio managers and investment analysts who have spent their entire career under the negative stock-bond correlation advantage, yet times change. Finance's greatest "free lunch" is not a one-sided bet. Older managers can impress young analysts even in their forties of old tales of "back in the day" when stocks and bonds moved together. 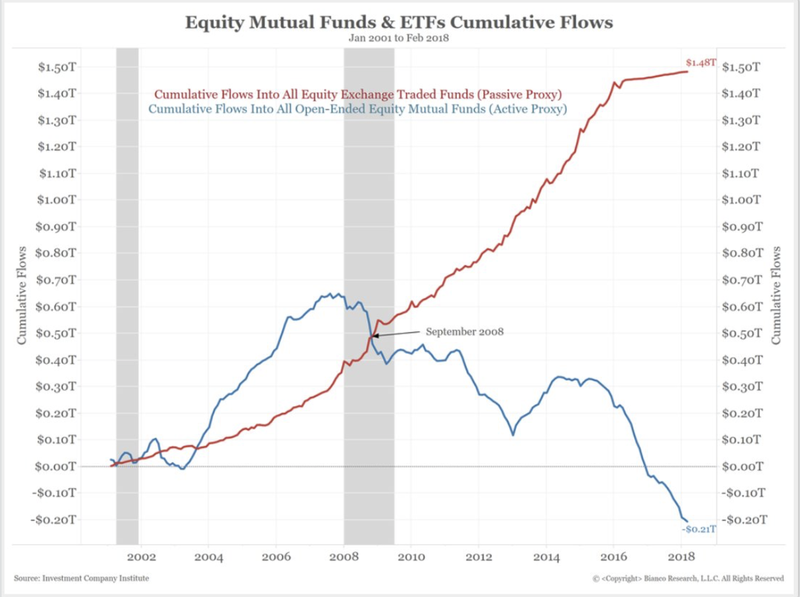 Some may argue that elders who talk of this should be retired and just let the new guys run things, but investors should discuss and prepare for alternative equity/bond environments. Future stock/bond correlations are closely tied with the inflation issue. Investors should expect that the same story from ancient financial history will apply if inflation averages above 4 percent. This scenario should be discussed even if investors and portfolio managers never faced sustained inflation above 4% for any part of their careers. 1. Measurement - What is the impact on portfolio risk if the stock/bond correlation just stays higher than the norm for the last two decades? What will happen to my portfolio's volatility if the stock/bond correlation just turns positive? 2. Action - What should an investor do to adapt to any changes in the stock/bond correlation? Where should diversification come from in the future? Increases in correlation between major asset classes will lead to higher portfolio risks. Even if asset class volatility stays the same, higher correlation will have a real portfolio effect and change any portfolio hedges. Taking no portfolio action will cause portfolio volatility to rise. A core action is to find new diversifiers, but that should require thinking about the cause of the low stock/bond correlation in the first place. 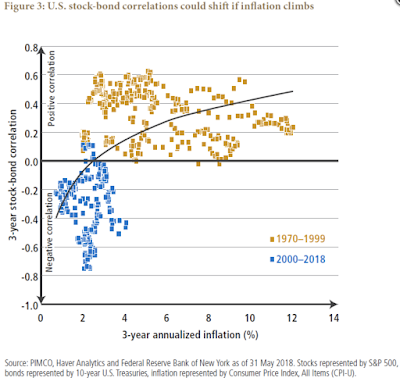 Research shows that inflation is a key driver of the stock/bond correlation although one is a supposed to be a real asset and the other a nominal asset. Nonetheless, the search should be on for higher performing positive inflation beta investments. Investments that truly have the ability to increase earnings or cash flow with inflation should be on the top of the list. Any asset that is negative correlated with bonds will offer some inflation hedge for fixed income. Finally, switches away from assets that have positive stock or bond betas should be added to the portfolio. Of course, discussing correlation masks the key issue relationships across assets are tied to return behavior. Higher inflation requires a turn to real assets. 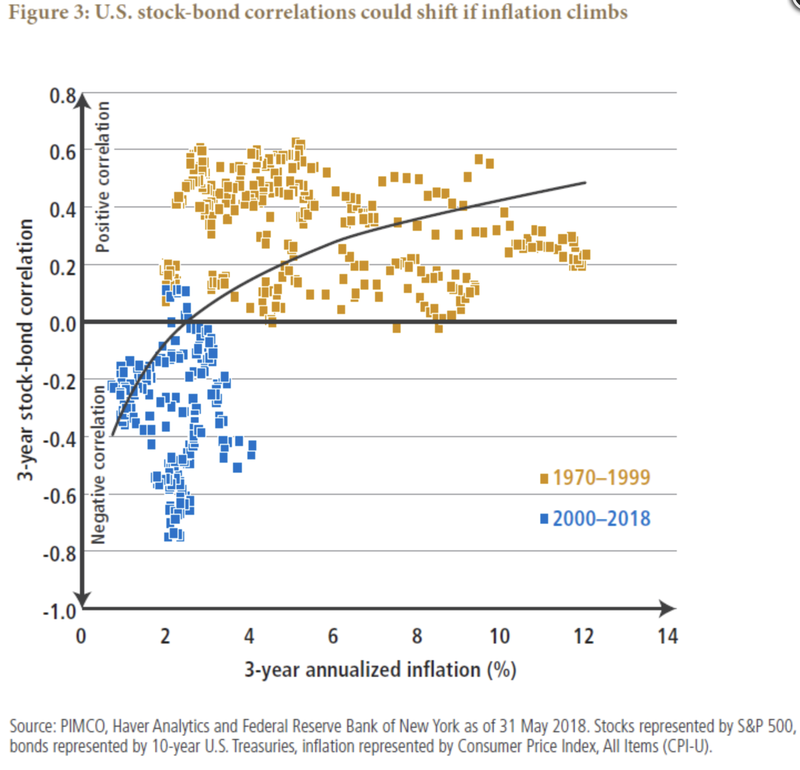 Still, a higher inflation environment is not a guarantee, so the safest bet is just finding lower correlated assets and strategies to traditional stocks and bonds. Making this new choice conditional on some minimum absolute or relative returns and the choices become fairly limited. The search should on, but the number of viable choices is limited. Should money managers think that they are "renting capital" from investors? There has been a bubbling up of new ideas on fees for money managers. These discussions are focusing on the conceptual framework for fees in order to change the thinking of both managers and investors. A battle to just lower fees between large investors and managers is a lose-lose situation. Managers who do their job well are frustrated with these discussions and investors feel they are disadvantaged when managers underperform. See the latest piece from my friend Angelo Calvello, Your Fees Are Bull%$&. The capital rental concept should be explored further. This new fee thinking believes that managers should perceive themselves as renting the capital of investors. Managers are providing a service but unlike other services, investors have to relinquish their capital in order to receive the service. Hedge funds are not giving advice for a fee. They are taking investor capital to use their wisdom and advice to generate returns for which they will take a piece of the profits and a fee that will increase with the wealth they create based on AUM. Managers may trade the capital for which they provide the advice as a convenience and added service. There is a cost with renting this capital which is an expected return that should be received by investors. The manager and investor should agree on the rental cost of capital based on the manager's use of the capital and the desires of the investor. A manager who is an EM specialist will want to rent capital form investor to profit from their expertise. The manager will provide a minimum return for rental in exchange for a percentage of the excess over this cost of funds. Managers should share the excess after paying the cost of renting the capital. If a manager cannot generate returns beyond the cost of rental capital, he is not entitled to excess returns. The negotiation should be centered on the cost of rent. A management fee could be charged as a fee to maintain or service the capital rental, but this fee should not be viewed as a profit by the managers but as a cost agreed upon with the investor to ensure that the invested capital is monitored effectively and not mishandled. This construct of giving your capital over to a manger, not as a trustee or custodian, seems somewhat unusual. Investors, the owners of the capital, should not give-up their capital for others to use so easily. Nevertheless, the core problem of this rental argument is determining what happens if the manager does not generate the rental rate and underperforms. The simple solution is having a high water mark for any incentive fee, but making up for any rental shortfall as an opportunity cost seems reasonable. More strongly, the question is whether managers should forfeit their management fees if they cannot return minimum rates after some period of time. Thinking through a capital rental model may make discussion of incentive fees, hurdle rates, fees or incentive choices, and liquidity easier. However, there needs to be further discussions on the principal-agent and incentive problems like excessive risk-taking and the impact of large loses. This is better controlled through heightened transparency. Additionally, there are industry structure effects with this rental model. Small firms and start-ups which need more certain capital to cover costs will be negatively effected; nevertheless, these are consideration that already exist. Of course, the current market structure developed because there was a shortage of knowledge and managerial talent on what to do with capital. If an investor did not know how to manage or how to employ their capital, the rent on the capital should be low. There were no hurdle rates. With passive investments now available and better understanding of benchmarks, the rental rate on capital should be better defined and higher than zero. An investor will give a manager their capital if they can more efficiently use the capital relative to a low cost index alternative. Simply put, active managers can rent and receive profits if they meet the rental cost. If there are no skills, they will not be able to meet the rental rate and should lose money. Looking at these four factors at this point in the year suggests that there is limited risk for a financial downturn through these normal macroeconomic paths. There is an increase in inflation both in the US and the developed world but the numbers do not suggest strong overshooting at this time. Nevertheless, US CPI is above the "magic 2%" number often used as a benchmark. Financial stress has not appeared in the any indices used to track stress. We watch a number of aggregated and disaggregated number and do not see stress increasing. Volatility has increased with the geopolitical risk with Turkey, but the levels are still below the spike seen in February. There is no weakness in consumption and consumer confidence is still relative high. Some consumer numbers are off highs, but there is little to suggest a downturn. While there has been a rise in protectionism, there have been bilateral talks that may dampen or avert further trade shocks. The economic expansion in the US seems to be in late stages. There are clear excesses in the credit markets with both pricing and the growth of leverage which will make the global economic more sensitive to a downturn, but there is no strong information to suggest downturns in this financial sector. The equity rally has also had a long life and heightened valuations, but there is no data to suggest imminent declines. Shocks will occur. Turkey is a geopolitical concern, but macro trend indicators are not pointing to a downturn. Rivals take more risks - Is this a good thing for money management? You might think some research is obvious after the fact, but in reality, good research can allow us to deepen our understanding on a topic and may provide subtle insights that were unexpected. One topic of interest is competition and rivalry. Recent work finds that when there is competition between rivals there will be more risk-taking. See "Research: We Take More Risks When We Compete Against Rivals" in the Harvard Business Review. The idea that you can pit employees within a firm against a rival to get better work will actually lead to greater risk-taking. The same can be said for those who form rivalries with other firms. 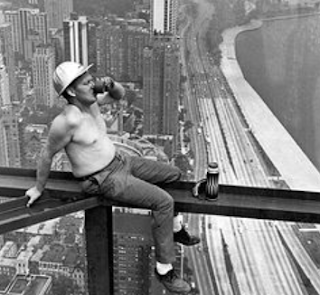 It may motivate people to work harder, but there will be the unintended result of greater risk-taking. The researchers from the article study this problem in a number of novel ways. For example, they look at risky play calling in football between rivals. They track the incidence of two-point conversions after a touchdown or not punting on fourth down. Both are more likely when playing a rival team. They also created experiments in card playing where other players wore rival sportswear to see if risk-taking increased when playing against perceived rivals. It did. There is less prevention focus, avoidance of negative outcomes, and more promotion focus, reaching for ideal outcomes when playing against rivals. We all know that the hedge fund and only management business is competitive and there are rivalries between firms and individuals. Any time spent in New York will tell you money manager not only want to win but beat their perceived rivals. 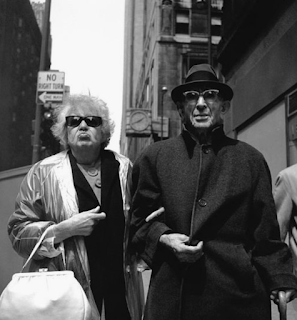 (Perhaps this is why managing assets outside of New York is a good thing.) Most managers cannot help themselves, but if rivalries are not controlled there can be excessive risk-taking solely related to this competition. In competitive bidding like private equity, rivalries will cause excesses and the "winner's curse". Again, emotions can be the enemy of a money manager. Risk management, the quantitative measure of risk-taking, is necessary to stop the excesses of rivalry. If risk can be measured, the emotional bias and baggage can be limited. Discipline will trump emotions. The returns of alternative risk premium strategies and products developed by banks and investment managers will have close links with the underlying macro relationships that are modeled. 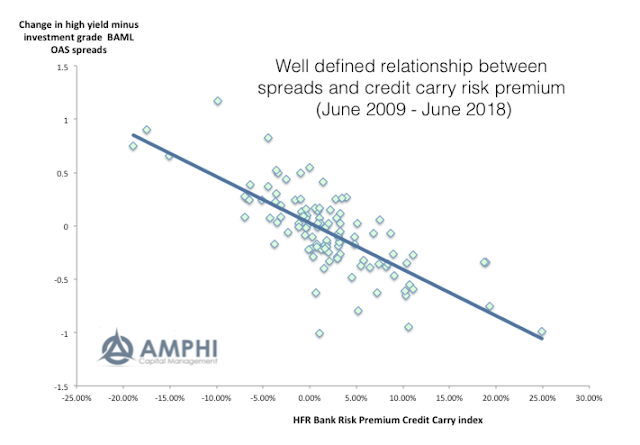 In the case of credit carry risk premiums, investors will gain from the difference between high yield and investment grade spreads. In the case of rate carry risk premiums, returns will be tied to the term premium in the yield curve. The credit carry HFR alternative risk index shows the strong returns generated since the end of the Financial Crisis. 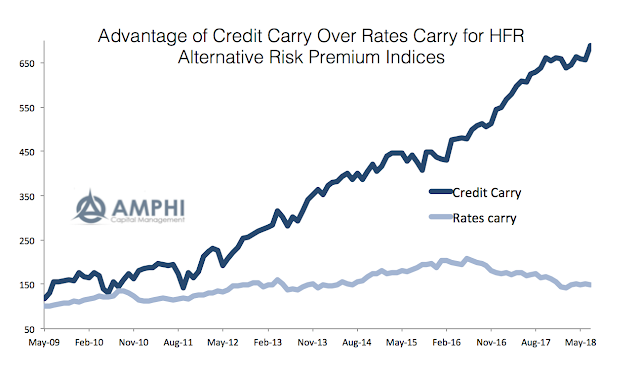 The rate carry risk premium shows positive gains albeit lower than credit carry. There has been a general decline in the spread between high yield and investment grade corporates since the Financial Crisis. There has been significant gains from carry positions in credit risk premium products since the high reach at the height of the crisis. There have also been gains in holding term premium in Treasuries since the Financial Crisis, but these gains have been more limited because the spread and change in the term premium has been less. 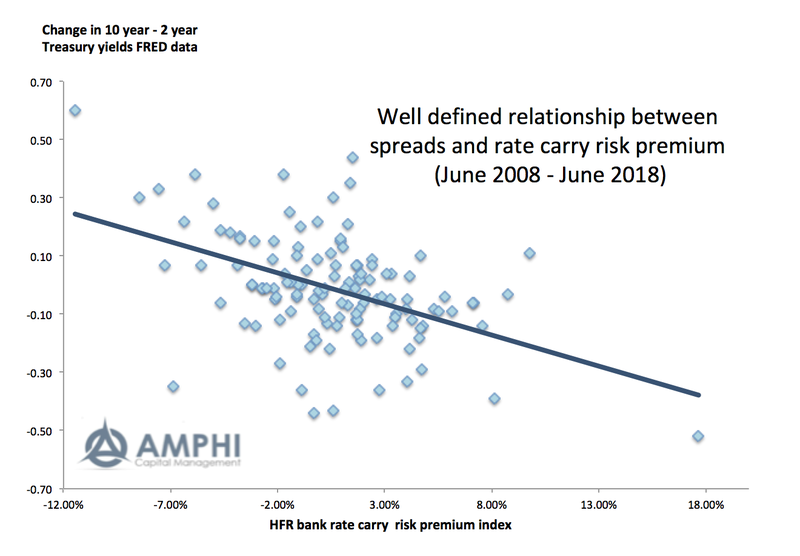 There has been a close relationship between the change in spreads and returns with the HFR carry risk premium indices. This exists for both credit and rates. There has been a view that investors should build diversified portfolio of risk premiums because you don't know where returns will be generated. Investors should hold carry, value, momentum, and volatility across all asset classes because this will give you the best risk-adjusted returns. This is a sound strategy, but we actually know a lot about the behavior of some risk premiums and this will help with building any portfolio. For example, credit carry will not be as attractive for the simple reason that as the spread between high yield and investment grade debt close, there will be less carry opportunity. The same can be said for rate or term premium carry trades. 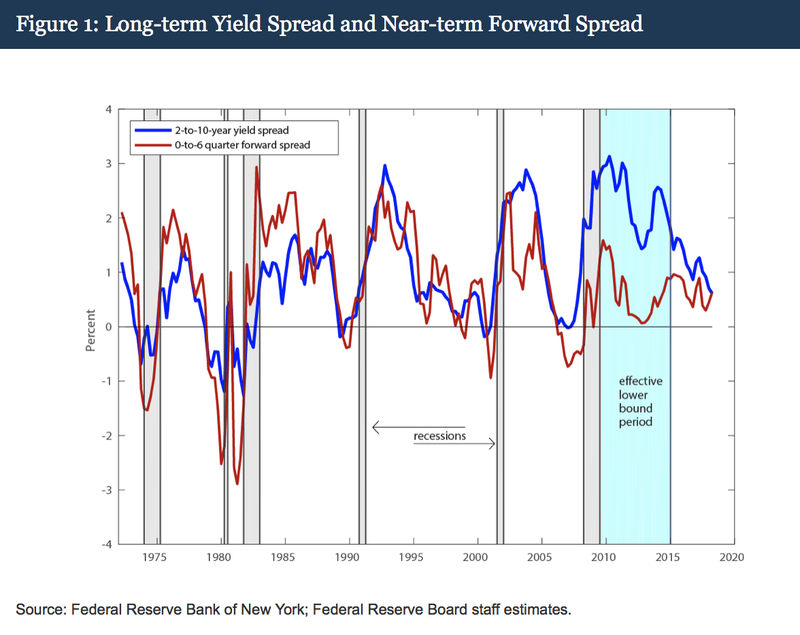 These carry spreads will change with the business cycle, so that as we move from recession to recovery and onto expansion there will be a change in the return opportunity set. The returns will be time varying but will be tied to business cycle performance. 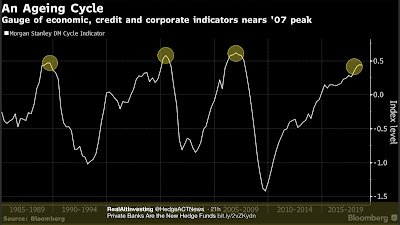 Hence, the strong returns associated with the performance of credit carry strategies will unlikely continue. Similarly, as the term premium (yield curve) flattens, there will be less return opportunity for rate carry. A diversified strategy of holding different style risk premium makes perfect sense, but our knowledge about the relative and absolute performance of these strategies that can help with determining any portfolio mix. Volatility has fallen since the February vol-shock, but the vol-of-vol shock paints a deeper picture of the calm that has overtaken the equity markets. This same behavior is seen in other asset classes. 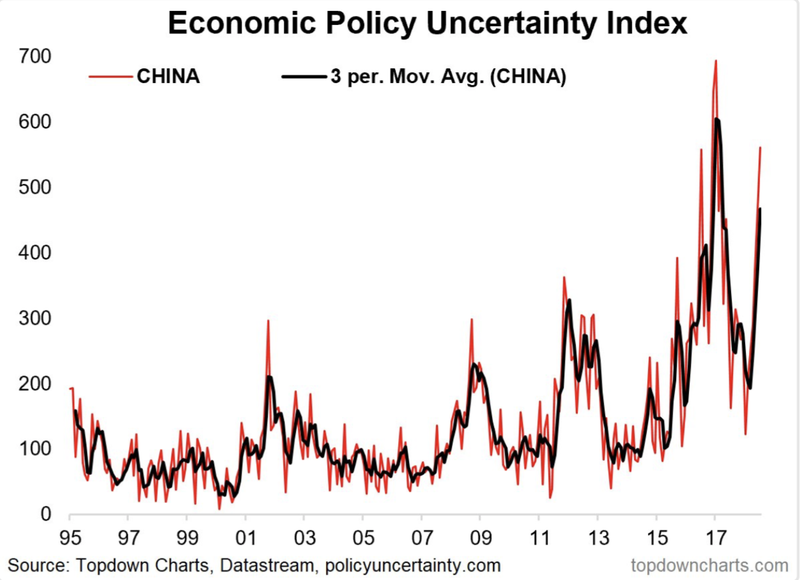 Given the combination of geopolitical risks, economic uncertainty, and policy changes, should we expect this level of calm? It seems unlikely. The Turkey debt-currency crisis takes us back to the old policy problems of the 90's. Turkey is bigger and more closely aligned with the EU than some other EM countries that have had currency problems over the last decade, so the chance for a contagion is greater. This contagion effect is more likely if you look at bank exposures to Turkey. 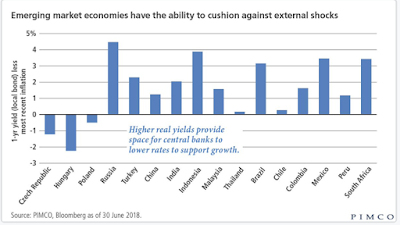 While a direct spill-over to other emerging markets is less imminent, expectations may change and reduce lending to other countries. 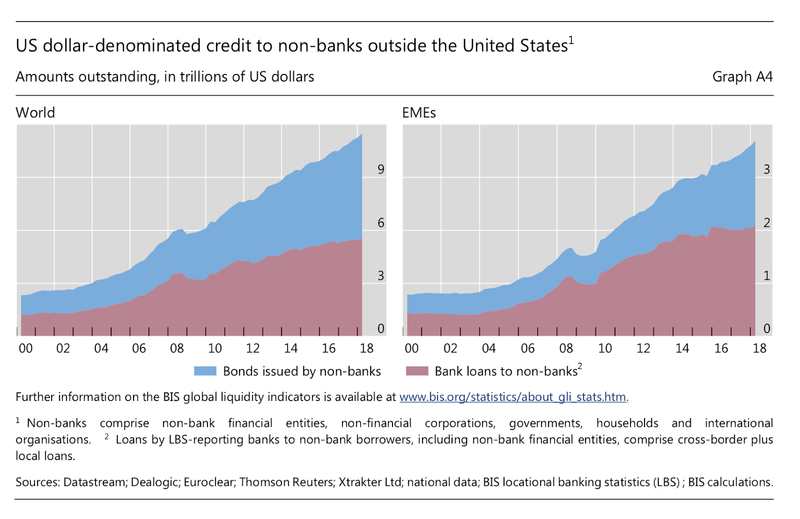 This can be result in an EM liquidity shortage. 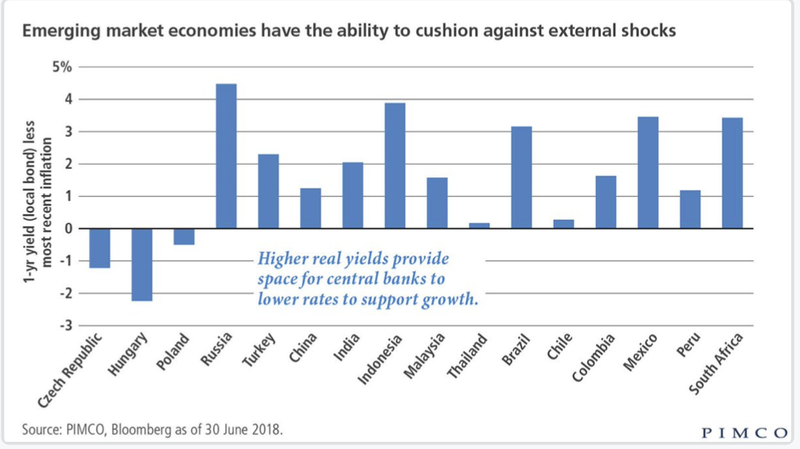 While real rates are higher for many countries, the problem is whether DM banks will lend dollars to these countries and what will be the roll-over cost of existing dollar debt. The equity rally is reaching old age and the business cycle has also aged and seems to be reaching a number of highs, but the real GDP gap is still significant. 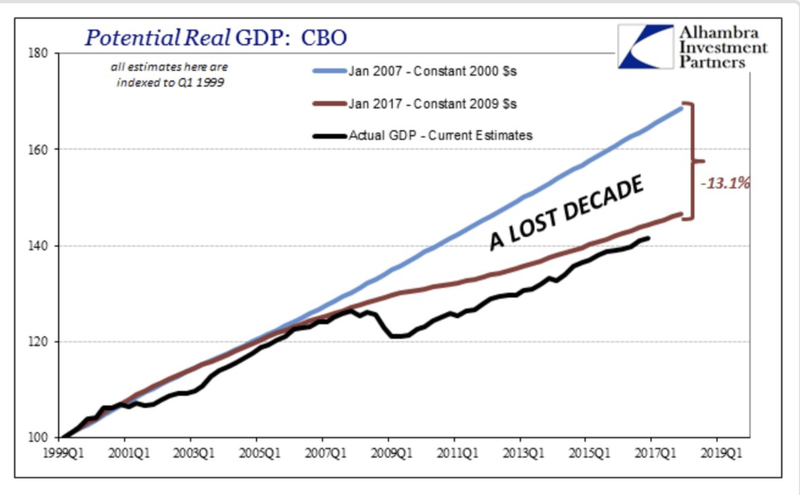 The cost of the Financial Crisis is still being felt in the GDP numbers. 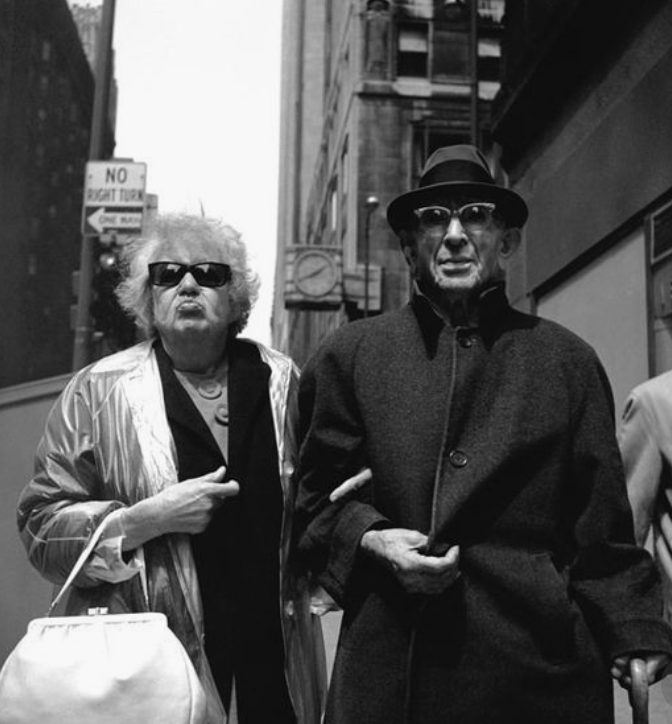 Nevertheless, the old adage applies; business and financial cycles don't die of old age, they are murdered by bad policy choices or a surprise shock. 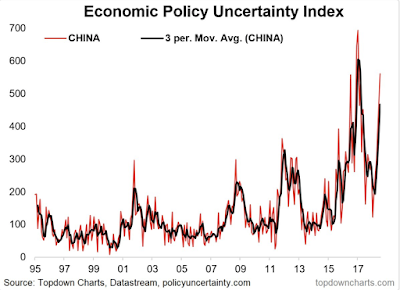 The short-term link between policy uncertainty, economic data, and financial markets seems to be highly variable, but China policy uncertainty has not dampened but is actually on the rise. The China stock market reflects this uncertainty, but the rest of the world still does not seem to focus on the true impact of China on global financial markets. Investors are voting with their dollars. Markets are efficient albeit perhaps not as quickly as many would expect. Active managers have underperformed at higher fees and investors have concluded that this is unacceptable. Investors want diversification from their equity exposure. This desire for diversification increases with uncertainty and with expectations of an equity decline. The big question is how or where are you going to get this diversification. The diversification winner for the post Financial Crisis period has been simple, US bonds. Bonds have been an asset that generated a good rate of return with lower volatility and a negative correlation with equities. You could not ask for a better diversifier. 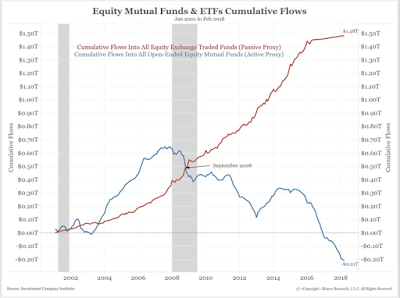 Unfortunately, the investment environment is changing and the benefits from bonds may no longer be available, so there is an increased desire to find new diversifiers. 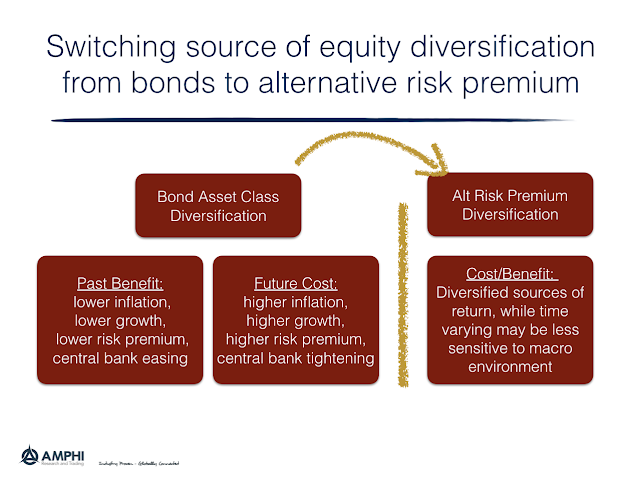 An effective alternative diversifier could be a portfolio of alternative style risk premiums. No investor should divest all of their bond exposure, but alternative risk premium (ARP) strategies may offer a different form of diversification safety. Think about the cause of the core bond diversification boost. Bonds benefited from low inflation, declining risk premium, and central banks that wanted to push rates lower. This combination led to good returns that were uncorrelated with equities. Now inflation is higher, central banks are implementing or contemplating QT policies, and risk premia are expected to rise. The underlying bond factor environment is less favorable. Diversification going forward can be achieved holding alternative risk premia across momentum, carry, value, and volatility to name a few. These alternative risk premiums can be executed through swaps which can be done as an overlay on bonds. Will these style premiums perform better than bonds? It is not clear and looking at past performance may not provide a perfect answers. What we do know is that an investment in a style risk premium will be by definition uncorrelated with market betas. Investors would be switching the risk factors driving returns and that can help if market beta risk is a concern.